* Beautiful Decoration: The composite products have good corrosion resistance, provide quality environmental decoration products for new homes. * Online Communication: If you look at a particular item or have doubts, you can communicate with us online through real-time windows. We will provide technical support for you. 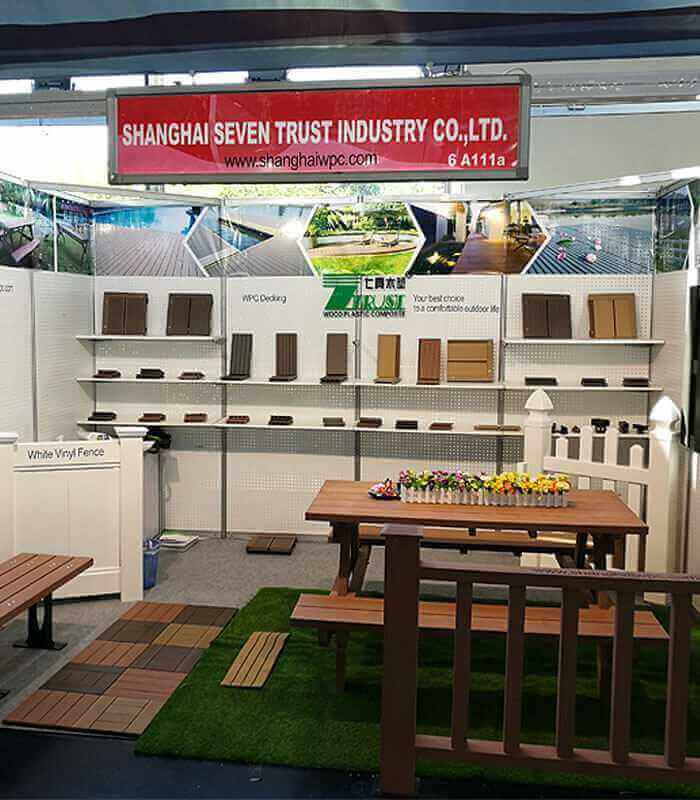 * Convenient Installation: Product installation can be similar to the installation method of wooden products, simple and convenient, DIY series of product installation is more convenient. * Product Samples: If you are interested in our products and have product requirements, we will provide you with samples of the products for free to help you understand our products. * Fire Prevention: High temperature and high pressure extrusion production is used for composite material products, which can effectively reduce the generation of open fire and reduce safety hazards. * Export Trade: Our production address is in China, and our products are sold and exported all over the world. Our existing agents are in the UK and elsewhere. You are welcome to be our agent. If you are interested in our products or would like to join us, you are welcome to contact us.